Note: In the current atmosphere of the alleged targeting of the minority community, country’s leading Deobandi Sunni organisation Jamiat Ulama-i-Hind introduced its pilot project ‘Jamiat Youth Club’ that will provide the young members the training in various self-defence techniques to deal with the crisis within the community. Many Muslim and Non-Muslim intellectuals, writers criticized this step taken by JUH and they say that it may led to unwanted direction. Our history also shows that such so called self defense organizations made by different sects had went towards more violent and sectarian path. Big example in our Indo-Pak Muslim history is of Khaksar Tehreek of Maulana Anyatullah Mashraqi. Then we can see transforming Majlis-i-Ahrar-ul-Islam into violent organization. Even Jamat-i-Ahmadiya also had formed its Self Defense Wing. This wing then was not also involved in terrorist activities against Muslim sects but its members went to Kashmir to wage so called Jihad and they committed heinous crimes against local population. 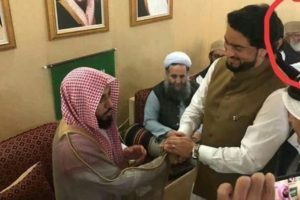 Some Deobandi clerics including Maulana Mazhar Ali Azhar, Maulana Abdul Shakoor set up such Self-defense wing of their Tehreek Madah Sahabah in UP and Punjab. Its Headquarter was set up in Lucknow city and that wing later involved Shia-Deobandi riots in 1929-30. Such semi-militant organizations set up by different sects in fact later transforms in full-fledged militant organizations. Ram Puniyani is saying same things in his fresh article. We are producing it here because here in Pakistan some circles argue that minorities should start here self defense organizations to combat sectarian and faith base violence. Maulana Mahmood Madani, the chief of the organization while telling about the efforts of his organizations gave an outline of the things to come. As per him the motto of the initiative is “to make youths capable of dealing with tough situations and help the country whenever there is a situation of crisis. 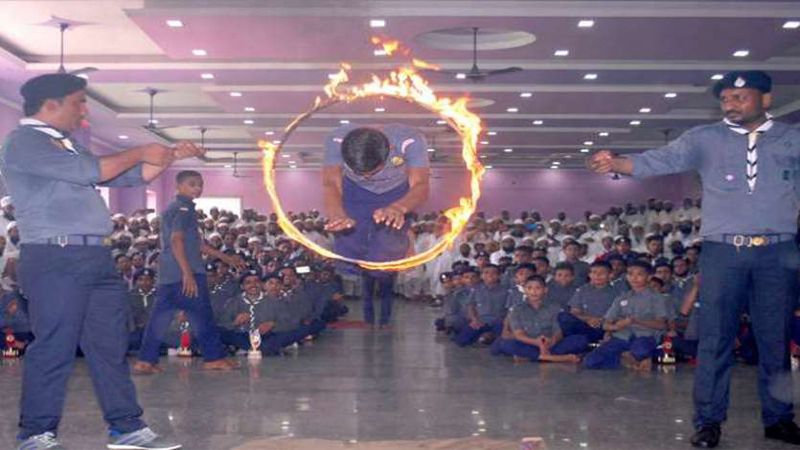 He said that the outfit will provide training to the youths just like the Scouts and Guides.” Reacting to this the likes of Vinay Katiyar and spokesmen of RSS related organizations said that this may promote violence and that this is an attempt to copy RSS model, but it will not work. While Madani focused on the training like that of Boys Scouts and Guides, the self defense logic may lead it to an unwanted direction.